This entry was posted on February 8, 2012 by joeleagle. 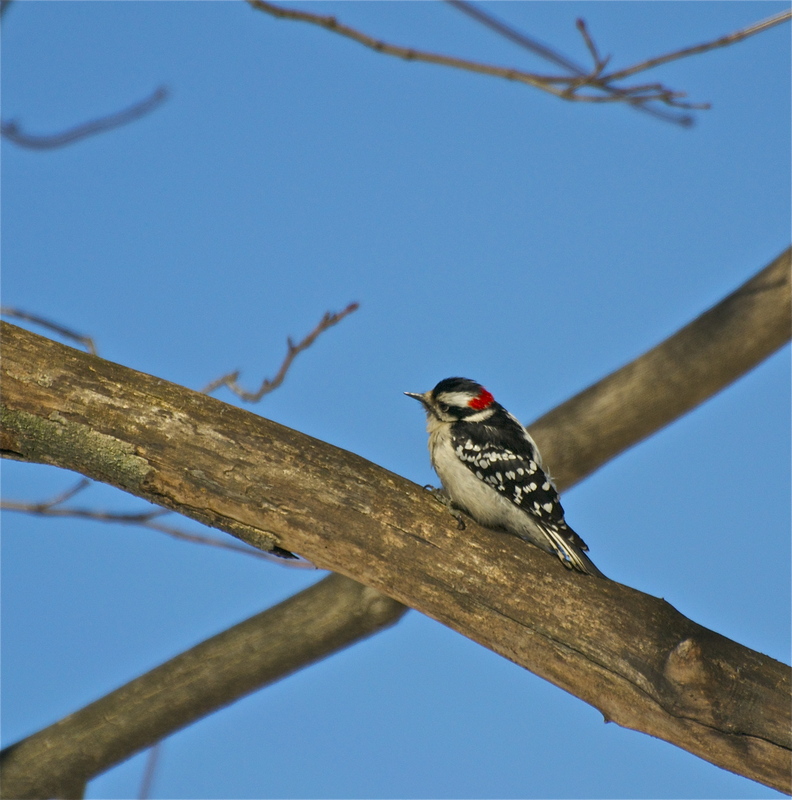 It was filed under Birds and was tagged with Downy Woodpecker. I love the downeys! I have a lot at my feeders. Last summer there was an elderly (?) downey who would fall asleep hanging from the suet feeder! Several times I thought he had died and was stuck there! When I went out to check, I walked right up to him and touched him. He screeched and flew up into the tree, and then spent the rest of the afternoon staring down at the feeder with a cross-eyed, angry face! Oh well! Live and learn!